DreamWorks’ Trolls is a hair-raising weird and wonderful comedy filled with unbelievable adventure and incredible music. London Mums think it’s the must-see film for the forthcoming half term school holidays. There are lots of great messages to inspire the children, cute characters, but most importantly a fab soundtrack and great rearrangements of Eighties classics. Trolls has got it all! Anna Kendrick, Justin Timberlake, James Corden, Kunal Nayyar, Gwen Stefani, Russell Brand, Ron Funches, John Cleese. 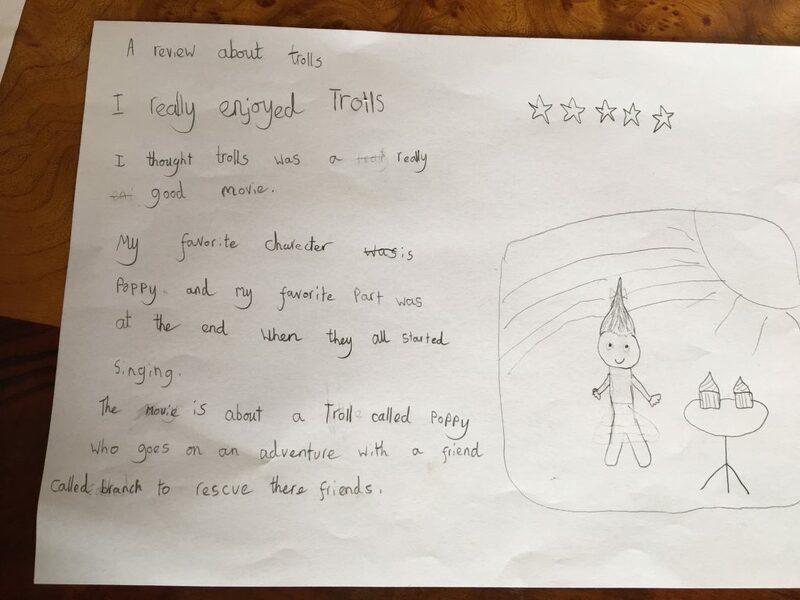 London Mums and children both loved Trolls! It’s one of those weird and wonderful movies that I will probably watch over and over again with and without children. There are lots of educational messages that give the film that additional layer and make it more interesting: friendship is important and worth fighting for; taking a risk is often necessary to improve your life; physical imperfections don’t count but real feelings do, and so many more. Children will understand those messages without being explicitly told. Overall an unexpectedly excellent film. 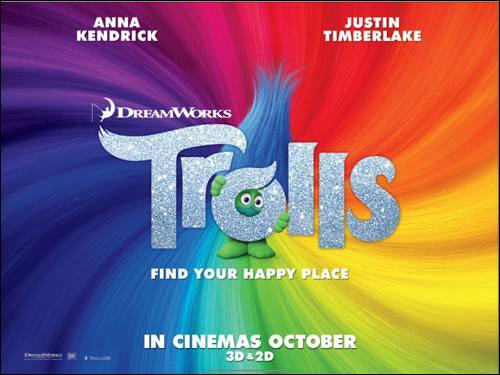 DreamWorks TROLLS is released in cinemas from 15 October 2016 in 3D and 2D. This entry was posted on Friday, October 14th, 2016 at 12:50 pm and is filed under Movies. You can follow any responses to this entry through the RSS 2.0 feed. Both comments and pings are currently closed.